I try, but I'm just not. I want to see results instantaneously. is not something that I want to do again for a v-e-r-y l-o-n-g time. sigh, sounds like the process is a little frustrating. i hope things turn around real soon! You and me both sister. 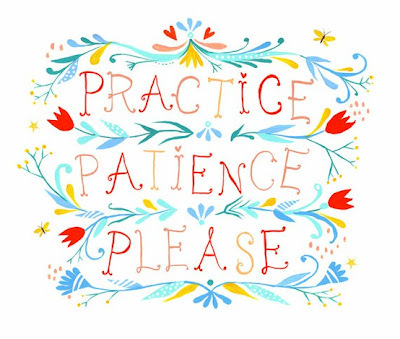 I'm not buying a home, but I definitely have BIG issues with patience. Good luck!! awh, good luck with the house buying! so frustrating sometimes! Oh, I can totally understand where you're coming from! People call me the queen of impatience. I really have to do something about this, but I guess it's just the way I am.